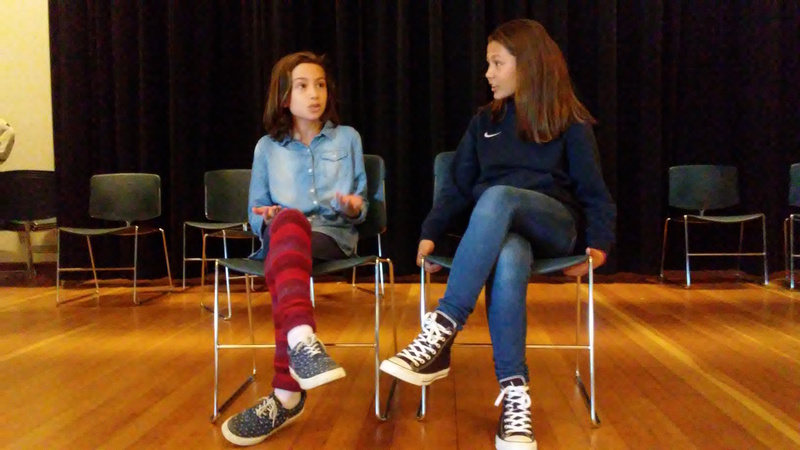 The students not only created and performed completely original pieces over ten classes, but they told stories based on an issue that they cared deeply about. 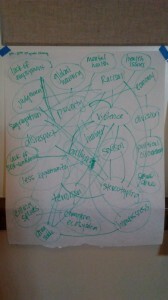 In the first few classes we explored the issues they see in the world. 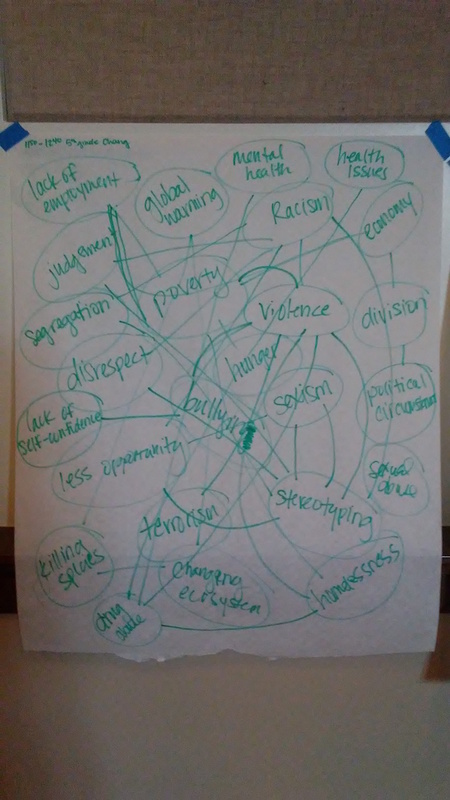 We talked about the root causes. About how they are connected. About how it can be really uncomfortable to talk about certain issues, but they won’t get any better if we ignore them. About how we can create art to lessen an issue just a little bit. 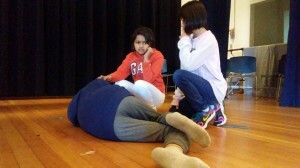 The students created their plays in groups that centered around an issue they wanted to change. The plays spanned many issues, including bullying, sexism, racism, and even a satirical play about politicians who are too selfish to care about the people. 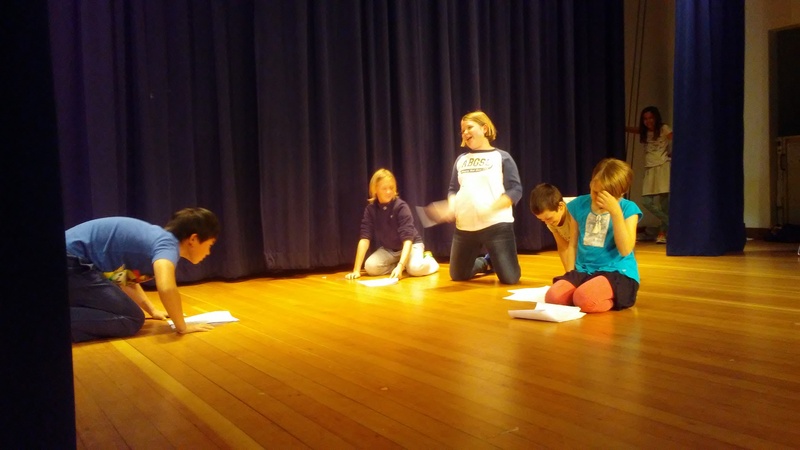 The students learned basic theatre skills, but the real magic was how they learned to collaborate, make mistakes (and learn from them), and take agency to shape the world into a place they want to live. We opened the performances to the school and any family and friends. 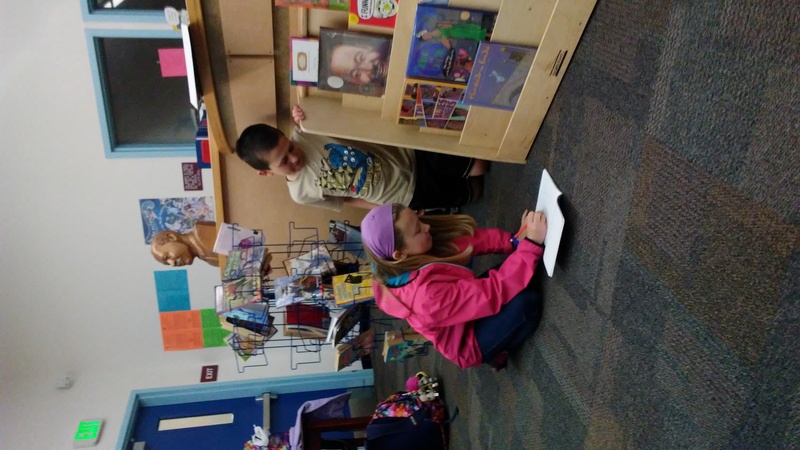 Some classes had small audiences, some performed to a nearly full-house, and all gave their creations away with full participation and excitement. 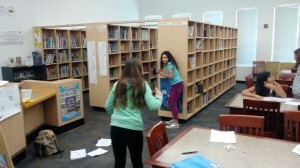 San Ramon 2nd Graders Wreak Havoc in der Luft!! 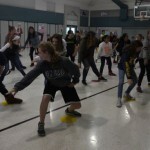 In our sessions together, the 2nd Graders at San Ramon School have finally learned to be careful not to crush underfoot all those tiny 1st Graders we find scattered around the Music Room floor like ants at a picnic. We carefully, gently pick them up between our thumb and forefinger and put them outside the door to return to their own classrooms. I mean, sheesh! The things a 2nd Grader has to put up with! 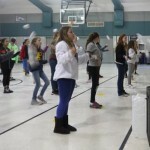 Then we practice flying and throwing sound balls and wearing the most exotic masks. (See above.) And, although everybody promises only to fly over Marin County and not to wave to people in airplanes, truth to tell, NOBODY complies, and all havoc breaks loose in the Upper Shnookosphere!!!!! 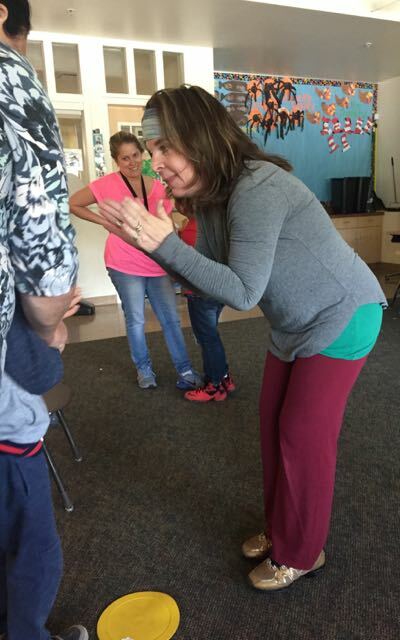 Cynthia Pepper is back working with Youth in Arts in the special day classrooms of Edna Macguire in Mill Valley, Terra Linda High School in San Rafael, Olive School in Novato, and the wonderful Willow Creek in Mill Valley. 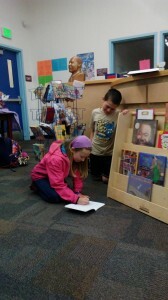 She is also working with typical learners at Rancho School in Novato. Middle school artists at Bayside MLK Academy in Marin City have worked on a variety of creative projects this year, from creating posters to making mandalas. With so much going on in the world, students use words as well as images to express what matters to them. In class we examined protest posters from the 1960s up to the present, discussing how images are created and used. We looked at various fonts and talked about the importance of size and shape of words when conveying messages. Students were thoughtful and reflective in considering whether to use a few words or no words at all to accompany their art. 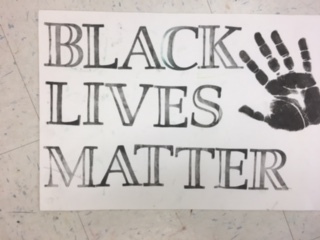 Using stencils, stamp pads, poster board and markers, students created incredible posters. Faced with the limitations of the large letter stamps available, the artists were quick to free themselves of traditional ways of writing words. Some artists stamped letters on top of each other, using watercolor paintings made during a previous class. 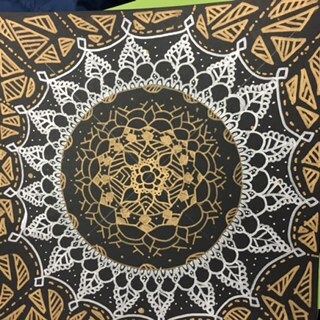 For the mandalas, students used gold and silver pens on black paper. We discussed the role of mandalas in history and the use of symbols to represent peace and unity. Students were asked to begin with one of five shapes: a square, circle, cross, spiral or triangle. Each artist put thje chosen shape in the center of the page. 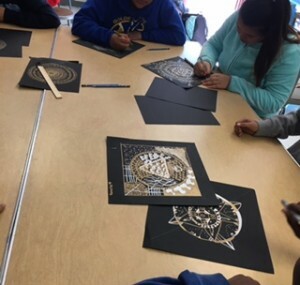 Although the artists learned how to create mandalas using rulers and the principles of geometry, most found it more enjoyable to use the power of their own creativity to complete the process. They traced circles using Mason jar lids, bowls and paper plates. The results were stunning. Every now and then as a teaching artist you find yourself with a really special class. The Harding After-School Playwright Program was an absolute joy to teach. 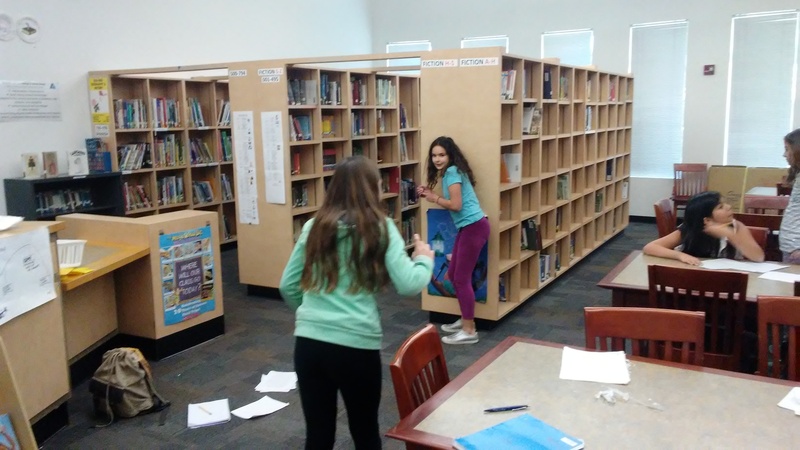 They learned story structure and created original scripts. They learned the basics of directing. They strengthened the acting skills they learned through the in-school program. But the fairy dust that sprinkled over this group was the ensemble they created. Their team was strong in every sense of the word. They collaborated. They listened to each other. They helped each other through their mistakes. They believed in each other. When these students gave away their original short plays to an audience my heart filled with pride and gratitude. Because a truly amazing class teaches the teacher. These 5th and 6th graders taught me to be a bit more silly. To let go a little bit more of perfection. To support each other unconditionally. There was one student in the class who needed a little extra support. He didn’t want to perform or write a play, but my goodness could he draw. So, to invite his skills through the process that everyone went through, he created a story-board about UFOs. To say it was incredible would be an understatement. I planned to show his story-board over a projector during the short play festival. But when we got to the school that evening, the projector I reserved was broken. All the other projectors were locked up. I started to feel anxious imagining his disappointment when I broke the news. But I caught myself with an idea. The rest of the ensemble should just act out his story-board on the fly! Would they be willing? When I asked the class who would be willing to improvise his story on the spot, every single student raised their hand. Every. Single. One. The last “play” was the improvisation of this student’s script and I grinned with tears in my eyes as every student zoomed on stage as fighter jets, UFOs, and aliens. They had so much fun. The creator of the story beamed with pride at what they created together. That is a true ensemble. 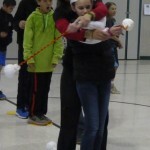 It was one of the best moments of my teaching career. 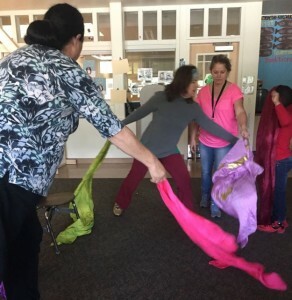 In February students hit the ground and took off with Hula and Teaching Artist Shawna Alapai returning for a second time to every classroom at Sonoma Mountain Elementary School. 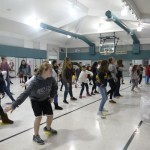 It was wonderful to see many familiar (but more mature) faces, and as we started dancing, I could see and feel the familiarity coming through in the steps and movements of the kids. We’ve been very busy learning some Hawaiian language words, meanings, history, myths and cultural practices along with the dances. 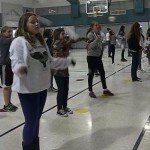 I love to have the kids sing along while they dance and they’re really using their voices to help express their Hula! 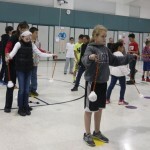 First day with Poi Balls: good thing they are soft! 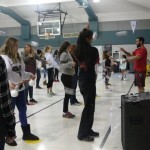 We’re delving into a variety of dance styles this year, with an ancient chant (danced with canoe paddles) that tells the story of the migration on double hulled canoes from Tahiti to Hawai’i…anyone see Moana??? Then, we’re exploring a bit of the Maori culture as we learn a Hula Noho, or sitting dance to the song Hoe Ana. I’ve incorporated the kala’au or hula sticks into this Hula and the kids really like using them to keep rhythm and express their motions at the same time. 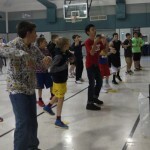 The 6th graders have really stepped their Hula up a few notches, as they learn a Maori Haka and Poi Ball piece. 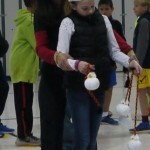 My Accompanist, Stephanie Behasa, made 35 sets of Maori Poi Balls for the girls to use. At first they were a bit intimidated, thinking it was too difficult, but I assured them that all they had to do was practice. Well, guess what? They’ve got it! It was such a delight to see their eyes light up when they achieved the routine, and to feel their absolute enthusiasm as we continue to progress in the style. The power of a Maori Haka is so infectious, that I decided to share that piece with all grades, K-6, and it’s a HIT! 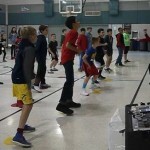 They all can’t wait to run through it when we’re working together and when their teachers come in, the surprise on their faces as their students put their all into the dance, is priceless. Sonoma Mountain School is rockin’ it out of the Multi Purpose Room every week, and when we do our school performance on April 28th, the hills surrounding the school will be vibrating to the tunes of Hawaii and Aotearoa (New Zealand)! 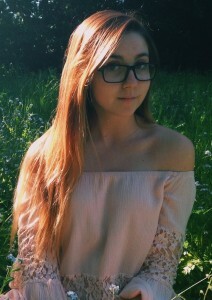 Student Rose Myers Joins YIA Board! As a current student at a Marin County public high school, she revealed there are definite areas for improvement with regard to arts education. “I wish that the arts educators I had were available to public schools. I wish my school made it possible to spend more time learning about the arts. 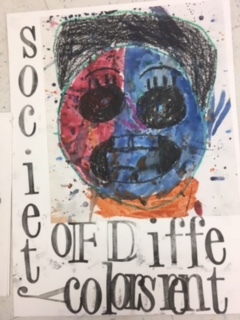 I think if more adults understood the importance of art, there would be more opportunities for kids to develop their art, whatever it may be,” she notes. When Rose isn’t busy singing, writing creatively, or attending school she is doing mentoring of her own…with preschoolers! 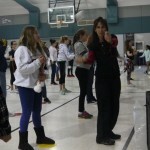 She writes songs with the young students, and helps them perform. “It’s the best part of my day!” she exclaims. We are very proud that Rose is sharing the arts mentorship she has learned here at YIA with the next generation of artists. April is Autism Awareness Month. 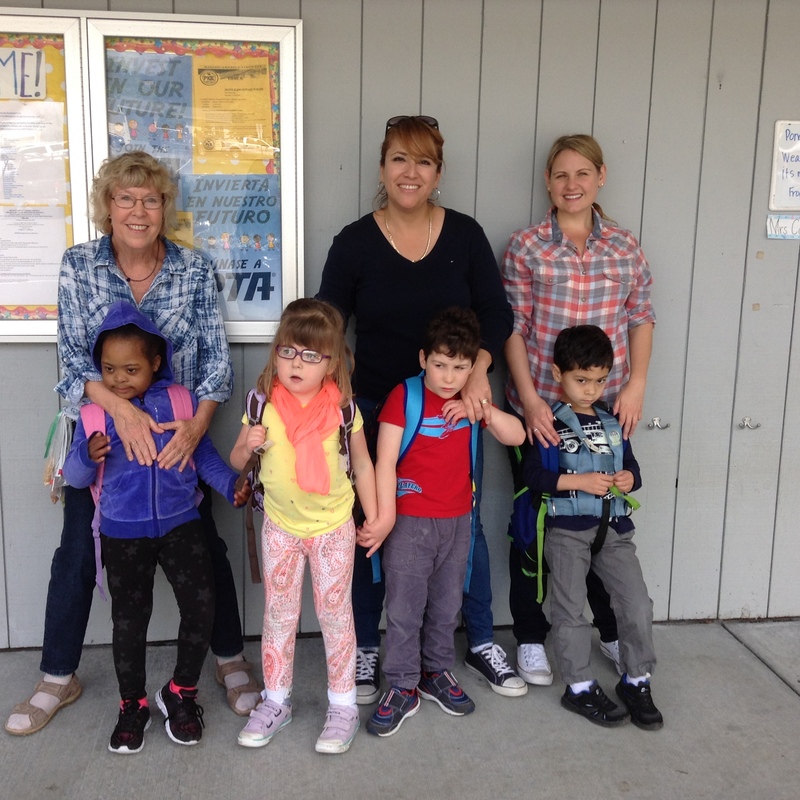 Youth in Arts is the only arts education provider to special day and severely handicapped classrooms in Marin. 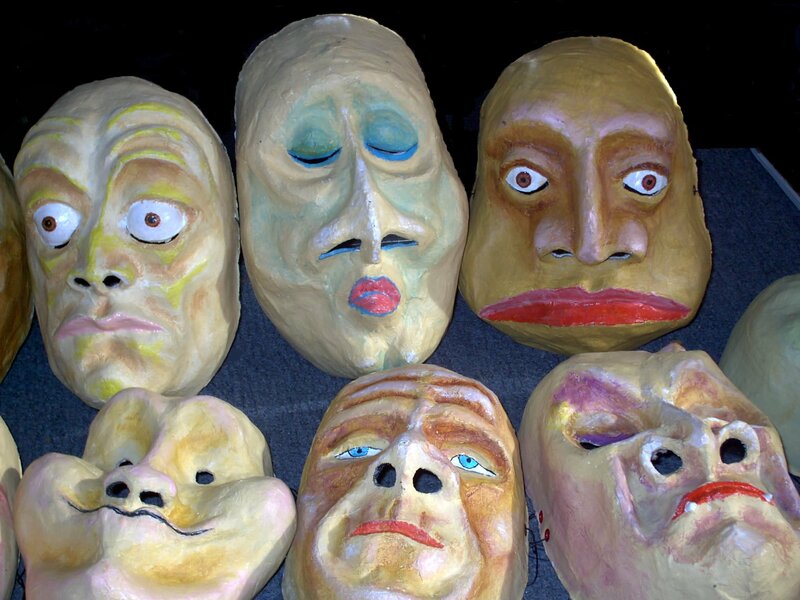 We also provide arts programming at Oak Hill School which is focused on students with autism from 5-22 years old. 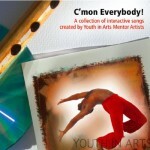 Check out this CD C’mon Everybody! which was produced with support from FirstFive Marin as part of a special workshop for families with children on the autistic spectrum. C’mon Everybody! features original music composed by Youth in Arts Mentor Artist Miguel Martinez and featuring performances by additional YIA Mentor Artists Nydia Gonzalez and Hannah Dworkin. Songs encouraging response to direction, social behavior and language acquisition. It is fun and accessible for developmentally typical PreK children, as well as children with cognitive or developmental delays. Come into our YIA shop on 917 C Street to buy the CD, or you can get a free download of a couple of the songs here Good Morning My Love, and King of the Beat. Thank you to the Buck Family Fund of the MCF for supporting our programs reaching children of all abilities.